Property Maintenance Contractors - Better Services and Better Costs, 610-789-0354. 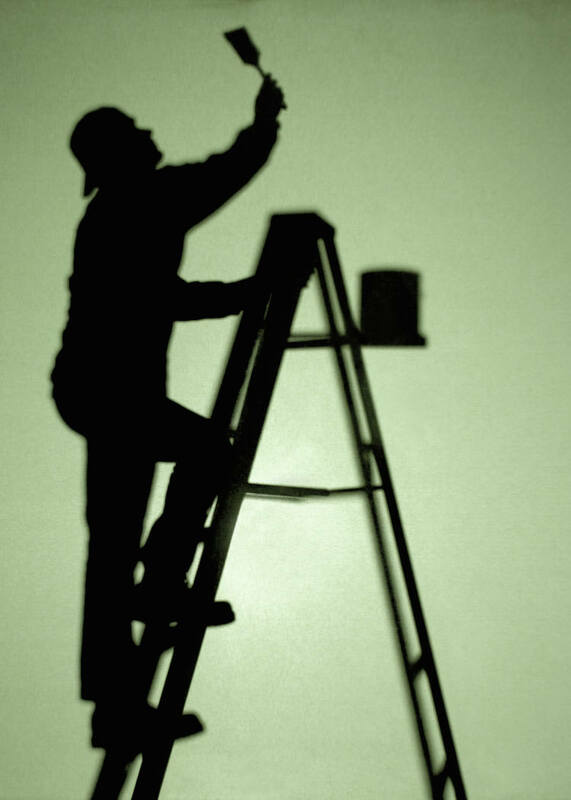 Property Maintenance Contractors by the Workers at Your Service. Maintenance work - Large and Small, Heavy or Gentle. 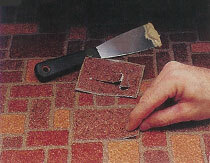 You can count on a quick response from our trade professionals. We'll win you over with helpful information without cost. Property trades with the Tools, Trucks, Equipment and the "Hard Work Ethics". Let us handle the tough jobs. Tearing Down, or Building Up. or just a portion of the job. Compare us to the others. concrete Property Lot and Yard Up-Keep. Free over the phone support for mechanical installations, code requirements, permits to do the work. Electrical, Mechanical - Rigging Hauling and Installing. Custom installations, all the electrical, plumbing, mechanical and carpenter work involved. We are ready to answer your questions, and ready to work for you. Licensed Electrical Contractors - Power Supply Circuits, Heavy Circuits and Control Wiring. Quality and precision for new and used equipment, customize and/or replace hard to find parts. Gas Propane, A/C Central Air Conditions. Ceiling Fans, Chimneys, Concrete & Asphalt, Countertops, Decks and Maintenance, Dishwasher, Doors-Exterior, Doors-Interior, Panic door Hardware, Drywall, Electric Heaters, Emergency Lighting, Energy Saving, Exit Signs, Fascia & Soffit, Fire Alarms, Heating, Heating - Gas / Air, Heating - Water Systems, Lighting, Light Bulbs, Lighting, Masonry, Maintenance, Receptacles, Recessed Lighting, Rooftop Equipment, Service Upgrade Elect., Sinks / Faucets, Plumbing work of all types and Steel work. HVAC ALWAYS. Our wide range of property services include: large facility work crews and small general repairs. Mechanical jobs, pipe work, Mechanical contractors & mechanics, automatics, machinery, pipefitting, sheet metal, piping, repairs, HVAC, refrigeration, plumbing, designs, industrial plumbing, process pipe, welding services, engineering services, custom fabrications. Pipefitting, sheet metal, piping, threading, ductwork, HVAC. Licensed Electrical, Mechanical, Plumbing and HVAC Contractors. Data, Internet, Ethernet - wiring and connections. Heavy Machinery industrial maintenance services to residential jobs we are quick and reliable. Building Permits, Roofing Permits. Industrial Hauling. Crane, Scissor Lift, Fork Lift, Pumping and Pulling Equipment. Electric Heater, Electric Service Upgrade, Electrical Supplies, Electrical Installations, Fiber Optics, Fire Alarm systems, Fire Escapes, Fireproofing, Fire Protection Systems, Fire Sprinklers, Auto Shop Garage. Mechanical contractors for pipefitting, sheet metal, piping, repairs, HVAC, refrigeration, plumbing, designs, industrial plumbing, process pipe, welding services, installation, engineering services, custom fabrications. mechanical, contractors, pipefitting, sheet metal, piping, threading, ductwork, repairs, HVAC, refrigeration, plumbing, designs, industrial plumbing, Philly, Philadelphia, PA, motors, belts, pulley, fan, exhaust fan, air handler, ventilation, water, heat, cooling, roof, compressor, air, air cooled, water cooled Generator - Handicap Ramps and Equipment, concrete work, Heater, furnace, Heating and HVAC, Ventilation Systems, Iron Work and Welding, Planning, Lighting, Metal Buildings, Parking Lot Lighting, Photovoltaic Systems, Plumbing, Propane, Refrigeration. Commercial Safety Equipment, Security Cameras, Standby Power Generators, Steel, Thru-Wall, HVAC, Utility Meter Separations, Ventilation Equipment, Water Heaters, Welding, 3Phase, 2Phase electrical service, Back-Up Power Generators, Cable and Wire, heaters, High voltage work, hydraulic work, refrigerants, solvents, computers, sensors and computer screens. Industrial plant, Commercial complex, Rooftop Equipment, Motor Equipment and Mechanical Equipment. industrial facility, business, handicap facility, restaurant, office complex, fabrication shop, food court, machine shop, shopping center and/or public facility. Motors, belts, pulley, fan, exhaust fan, air handler, Refrigeration services, plumbing, designs, industrial plumbing, ventilation, water, heat, cooling, roof, compressor, air, air cooled, water cooled. handyman service, home improvement, bathroom renovations at economical prices for finished basements, brick pointing, brickwork and building maintenance. We are cabinet makers, specializing in carpentry and framing. driveway sealers and the land excavation required. Call us for gutter services, drywall, plasterers, plastering work and duct cleaning maintenance. Count on us, we do fire damage work.��We have work crews for your caulking, ceiling fans. Concrete drilling and cutting,�countertops, construction work,�Data/LAN wiring, deck building and repairs,�demolition,�door repairs, overhead doors, draperies and curtains. 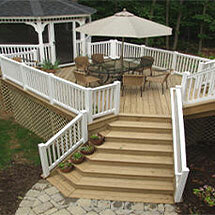 Fence installations and repairs (residential, commercial and industrial). are. Your garage or your parking garage - maintenance big and small. General repairs on any property, back up power generators and generator services. We are on the cutting edge of Green Property information and the jobs property owners can consider for a profitable pay-back return.�Emergency power generators, We offer professional support for telephone system service, video surveillance, and electrical service. Electrical repairs for your home or business, electrical work for large commercial and industrial properties and electrical service for your high-voltage needs. Energy conservation, environmental service, excavation permits and various property services. Heating and cooling diagnostics, Call us about flooring, carpet, tile work, flooring repairs - no matter what the damages We have a host of network services (companies that work with us online) these are just a few: fire extinguisher service, fire sprinklers, etc. Informationeers, we're working harder to win your trust - Contractors Solutions Inc. Havertown PA.
OUR SERVICES INCLUDE.... 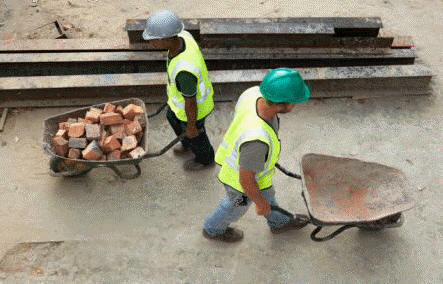 Brick pointing, Brickwork, Stonework, Roofers, Gutter services, Landscaping, Patio & Porch Construction, Awnings, Above-ground Pools, Backyard Play Sets, Playground Equipment, Hot Tubs, Sheds, Garage Doors, Fences, Front & Back Doors, Windows, Trees & Landscape, Outdoor Lighting, Siding, Concrete Work, Deck Building, Painting, Driveways. Project Management Design Build Services Project Consultation Industrial Process Piping Plumbing, Heating, and Air Conditioning Installations Refrigeration Specialized and Certified Welding AutoCAD Capabilities Fabrication/Metal Working Acoustical Ceiling System Planned Maintenance Agreements Customer Training 24-Hour Emergency Service Traffic Signal Installations Temperature Controls-Design and Implementation Backflow Preventer Certification Commercial and Industrial Electrical Installations Underground Installations Site Utilities Telecommunications System Design Fiber Optic/Data Installation and Testing Fire Alarm, Security, Video, and Sound Systems Highway Lighting, Site Lighting, and Facility Lighting Hospital and Health Care Facilities Wiring Conveyor Power and Control Wiring Switchgear New and Complete Change-Out. Ask us about our: home inspection, insulation, weatherization, interior decor and design, iron and welding. Janitor service, junk removal, kitchen installers, labor service, landscapers, landscape lighting. Light hauling, lighting design, lighting installations and repairs. cleaning, electric work, bathroom and kitchen work, drywall, flooring and carpeting, minor repairs, Move-in/out Cleaning, pressure washing, repairs, cut grass, small jobs, rake leaves, landscape, mulch, and commercial parking lot maintenance. masonry and mechanical contractors. There are movers and moving companies, office improvers, oil service, paper hanging trades, paving contractors, pest control, plumbing and power washing. Contact us for property maintenance contracts, radon testing, refrigeration service, rentals and supplies, building equipment, restoration work, and repairs. Broomall PA Workers at Your Service. Cutting Torch, Steel Cutting Services - Philadelphia, Delaware County, PA.
Delaware County Contractors Network by Contractors Solutions Inc. Yes we are Demolition contractors and we have online pricing.